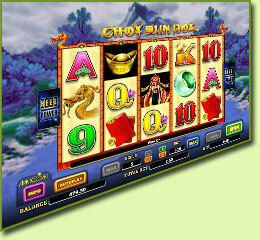 5 Reel, 243 Payline non-progressive video slot. 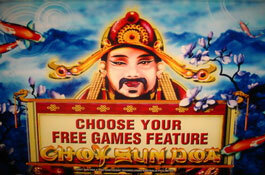 Featuring Wild and Scatter symbols, Bonuses, Free Spins and a maximum Jackpot win of $4 000. 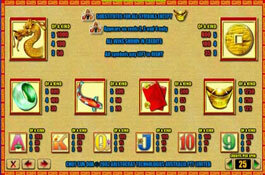 Players have a unique chance to select the amount of free games they want, and they can select the best variable multiplier that pays out maximum wins. 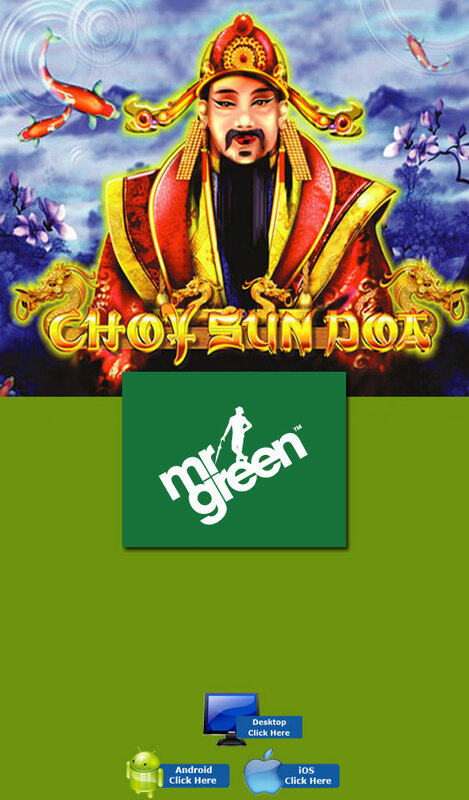 Choy Sun Doa in Chinese means God of Wealth. Take a trip into the East Asian mountains, relax by a calming crystal clear lake and walk with the Choy Sun Doa to increase your own wealth! 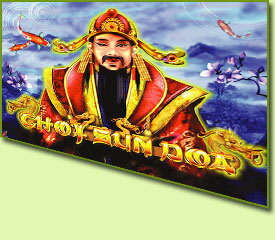 Choy Sun Doa God, Golden Koi Fish, Golden Dragons, Golden Crowns, Jade Rings and the high value cards Ace, King Queen, Jack, 10, 9 which are decorated with oriental items. Play using 25 coins up to 125 coins. 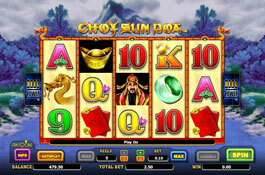 The maximum cost per spin is 100.00 based on the 4.00 coin value and all 5 reels activated. The Wild symbol regularly appears on reels 2, 3 and 4 substitutes for other symbols except the scatter symbol. Players can win with more combinations and this can be done by spending less money. 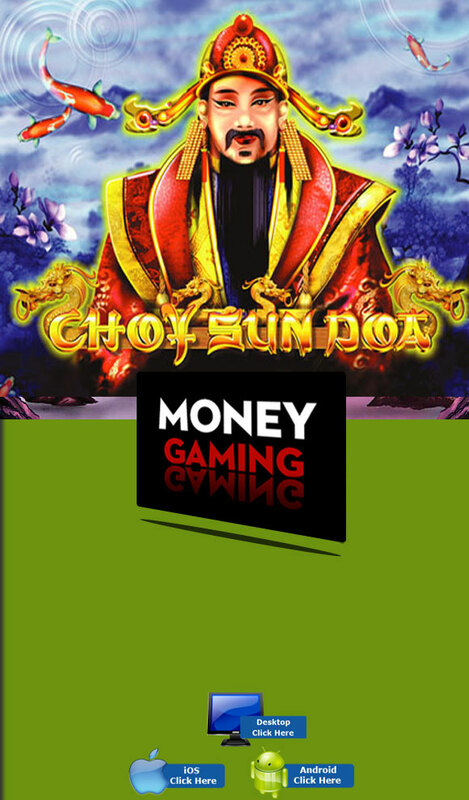 Choy Sun Doa is quite entertaining with enjoyable background music, an original payline structure, and a jackpot worthy to all players.